Each panel is clamped with the A-shape runner (S-201) tightly to hide the suspension parts in the ceiling. 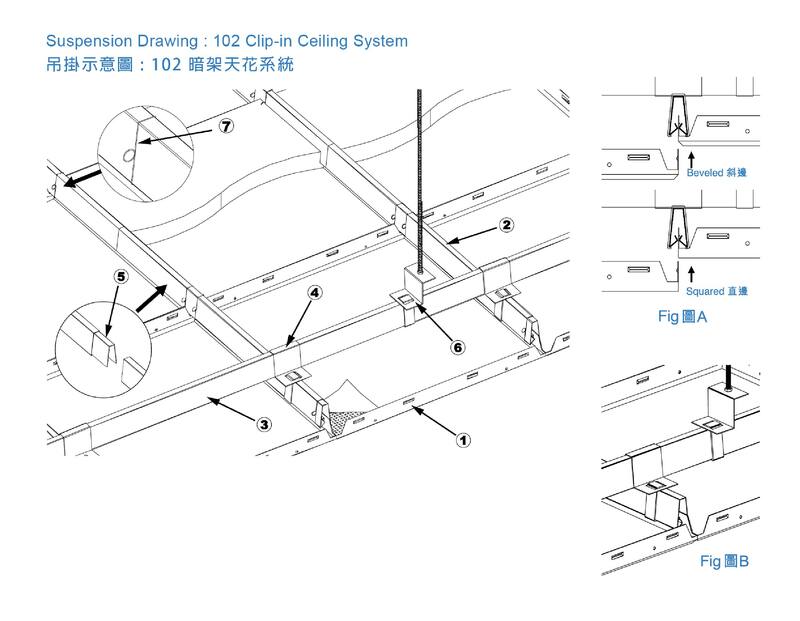 The ceiling is suspended by two levels of A-shape runners which are cross fixed by the 1st Runner clamp (S-202). The whole of suspension frame is hanged by 2nd Runner Clamp (S-204).